a shell that crowds this well-heeled thoroughfare. strong hands in search of one more glory ride. by any holy house deprived of prayer. enough to ward off risk of patricide. Next door, a poodle grooming service thrives. Across the street, insurance limits loss. So strange to see a stained glass sacrifice. Here every other enterprise survives. and no one can complain about the price. Kay Day is one of those writers who does it all--poetry, memoir, nonfiction, journalism, technical...you name it, she does it--and does it well. Host of a daily syndicated blog called "The US Report," and a columnist for the online version of The Writer Magazine, Kay is the author of an award-winning poetry collection and a memoir. 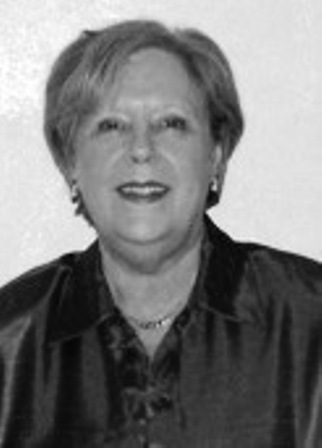 A former South Carolinian now living in Jacksonville, Florida, Kay's work has appeared in numerous magazines and anthologies and she is a frequent guest at schools and book events. She will serve as senior media analyst at the Congressional Medal of Honor Society Convention in Charleson, SC, in the fall of 2010.